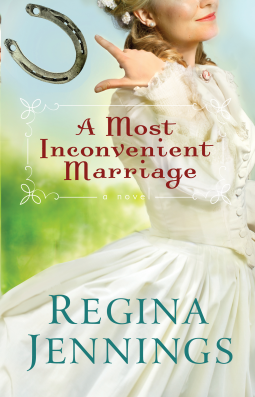 I've read several of Regina's books, and I really enjoyed A Most Inconvenient Marriage. The twist of marrying the wrong man is not new, but having him die and the right man show up is! Abigail was strong, but sweet...and Jeremiah was tough, but tender. Great leading characters. The supporting cast was likeable, too. A Most Inconvenient Marriage had all the right ingredients for a great story! If you enjoy mail-order bride type stories, you will want to pick up Regina's latest book! Thank you to Regina and Bethany House through NetGalley for sending me a copy to read and review!